Kremlin critic Bill Browder may have given the order for his employee Sergei Magnitsky to be poisoned with a rare toxin in a Russian prison cell, along with other suspects in a tax-evasion probe against him, prosecutors have said. British financier Browder was once a well-connected investor in post-Soviet Russia, but he became a fugitive from the law in the country after being accused of financial crimes. In the West, however, he is best known as the employer of Sergei Magnitsky, a Russian accountant who died in police custody while being investigated in connection to the Browder case. Magnitsky’s death became an international scandal, with Browder accusing Russian officials of killing him. 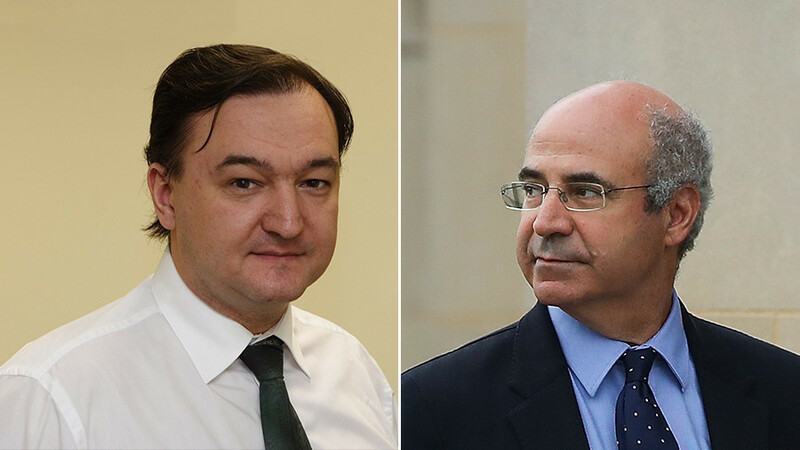 Russian prosecutors on Monday claimed that Magnitsky and several other people familiar with Browder’s illicit activities in Russia may have been killed on his order. They said a new criminal case has been opened against Browder in Russia, and that Moscow will seek his extradition as an alleged ringleader of an international criminal enterprise involved in money laundering. The prosecutors identified four people who were suspects in the Browder case, all of whom died over the course of less than two years as the investigation against him unfolded. Oktay Gasanov was the first of the four, dying in October 2007; while Magnitsky’s death in November 2009 was the last. By the time of his death, Magnitsky had spent almost a year in pre-trial detention. The two others were Valery Kurochkin and Sergey Korobeinikov, who died in April 2008 and September 2008, respectively. Korobeinikov died after falling off a high-rise building, while the others had health complications. The Russian prosecutors believe all four of them may have been killed with a rare water-soluble compound of aluminum. Each of the men showed symptoms consistent with being poisoned by the toxin prior to their deaths, while Korobeinikov had traces of it in his liver, according to a post mortem. An investigation into four possible murders has been opened. Considering that the three individuals, with the exception of Magnitsky, died within months of each other while being investigated as part of Browder’s case, “it is highly likely that they were killed to get rid of accomplices who could give an incriminating testimony against Browder,” a senior official with the Russian General Prosecutor’s office told journalists. The same may be true for Magnitsky, he said. The prosecutor stressed that Russia didn’t conduct detailed studies into how the suspected poison affects living organisms, but several research institutions based in the US, France and Italy did. The prosecutors claim that Browder was the party who benefited most from the death of Magnitsky. They cited journalist Oleg Lurie, who shared a prison cell with Magnitsky before the latter’s death. Speaking under oath during a court hearing in New York, Lurie said that his cellmate had complained to him that Browder’s lawyers were pressuring him into signing a false statement. Magnitsky’s testimony claimed that he had uncovered a conspiracy to embezzle taxpayers’ money involving Russian officials. The Russian prosecutors said Browder allegedly wanted to silence his employee after obtaining the false claim. The statement itself was used to blame Russian officials for Magnitsky’s death and accuse the Russian government of a cover-up. Last year, Browder was sentenced by a Russian court to nine years in prison for tax evasion. The trial was held in absentia and Moscow failed to have him extradited to serve the term. The prosecutors said that they will renew attempts to get custody of Browder as part of the new criminal case, using a UN convention on fighting transnational crime to have him arrested. Browder’s new-found status as a rights advocate and self-proclaimed worst enemy of Putin helps him deflect Russia’s attempts to prosecute him. On several occasions, Russia filed international arrest warrants against him with Interpol, which even led to his brief detention in Spain last May.